The help page of Google with the name ‘Improve your local ranking on Google’ has been updated. Before the changes, the page consisted of 5 paragraphs of writing which revolved around distance, relevance and prominence as the main factors for local search engine ranking. Now, Google has brought about vast changes in that document. The new document goes beyond the local 3-pack, what it takes to be included in that pack and how Google ranks in the local pack. 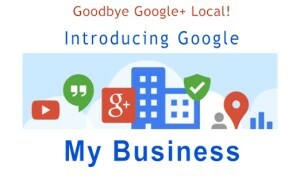 The new document also tells you how you should target to have more data on your local business in Google’s My Business. You also require verifying your business, beyond accurate hours, manage reviews, respond and also add photos of your business. This will help people locate your business in the local search results. However, Google still gives importance to distance, relevance and prominence and here is the revised content. Distance: As simple as it sounds, how far is each possible search result from the exact location term which you use in your search? If there’s a user which doesn’t mention the location in his search, Google will automatically compute the distance on what they know about the location. Relevance: When it comes to relevance, it is how well the local listing is relevant to what the person is searching for. If you add detailed and complete business details, this will help Google to better comprehend your business and thereby match your listing to those searches that are only relevant. Prominence: How well-known is a business? There are some places which are extremely prominent in the conventional world and the search results reflect their popularity in the local search ranking. Landmark hotels, popular museums and store brands are familiar with too many people and they’re most likely to be popular in search results too. Prominence can also be based on the information which Google stores about a business through the web. Your secured position in web results is an important factor and therefore, SEO practices are also applicable to local SEO. After going through this, you need to understand that there’s no such way to pay for a better local ranking on Google. Google does its best to maintain confidential data to make the search engine ranking system as transparent as possible.